You are here:Home » Tutorials » Cyber Security » Top Things to do after Installing Kali Linux in 2019! Kali Linux isn’t recommended for beginners. Period. This is the first thing you should learn. It is a Linux Distribution geared towards Security Professionals. I know, I know. This isn’t going to stop you. So I decided to put a list of Top Things to do after Installing Kali Linux together for you, so you can maintain at least a certain level of security. Kali Linux, out of the box, comes with a root user. Operating a Linux Distribution, especially a security distribution like Kali Linux as a root user is a bad idea. There are other distributions like ParrotOS that are a tad bit safer to use for beginners, as they come with a normal privileged user from the beginning. 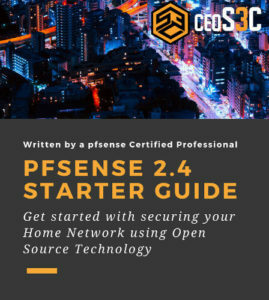 But you are here to learn the Top Things to do after Installing Kali Linux, so let’s get started with that! A side note, I specifically didn’t call this “The Top 5 or whatever things to do after Installing Kali Linux”, because this is an ongoing affair. I will constantly update and maintain this list. So best Bookmark it and come back once in a while! The first thing after installing Kali Linux is to update it. To do that, we first have to update the repository and then we have to upgrade the system. Follow my Instagram Channel to learn all the Linux Basics you’ll ever need. Check out the BEST Network Adapters for WiFi Hacking! 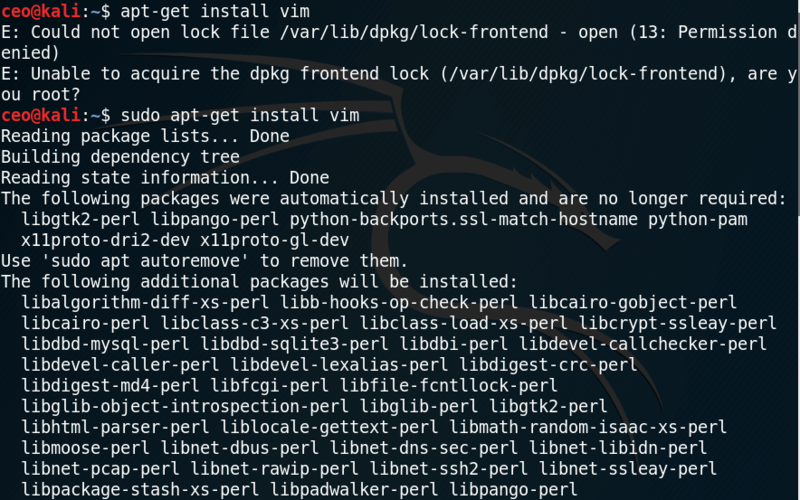 IF you have installed Kali Linux on a Laptop or anywhere else than VirtualBox or VMWare, skip this step and continue with Step 3. If you have installed Kali Linux manually from the ISO files on the Kali Website, we need to install the VirtualBox Guest Additions first. Otherwise, you will stare at a 640*480 screen and most of your drivers and passthrough won’t work. If you have downloaded the finished Kali VirtualBox Machine, you can skip installing Guest Additions and continue with the snapshot. I highly recommend making a Snapshot of your fresh installation. Because you WILL mess it up at some point. Instead of completely re-installing the whole thing again, you can save yourself some precious time and just revert back to the Snapshot instead. To take a Snapshot in VirtualBox 6.0, select your Kali VM, click on the Dropdown icon next to it and select Snapshots. Click on the Take icon to create a new Snapshot. Name it properly. An idea would be: “Fresh Install” ->Description:”Fresh install DATE + Updates + VirtualBox Guest Additions”. Because you will forget when you took the Snapshot later on. Enable the shared Clipboard. 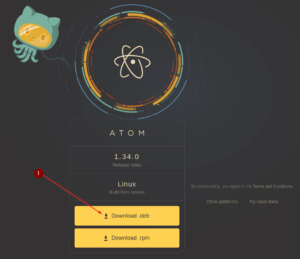 It allows you to copy something like text from your Host to your Virtual Machine. Also, enable Drag & Drop, you can Drag & Drop files from your Host to your VM and Vice Versa, very useful. Set both to Bidirectional. 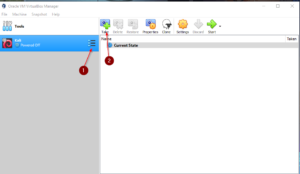 In your VirtualBox Window go to Devices -> Shared Clipboard -> Drag & Drop -> Set both to Bidirectional. 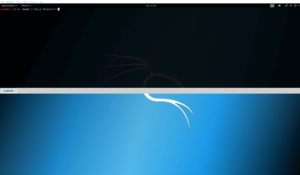 Definitely another bonus Tip of Top Things to do after installing Kali Linux on VirtualBox! And your newly created user should show up. Now we need to add our new user to the Sudo’ers group. 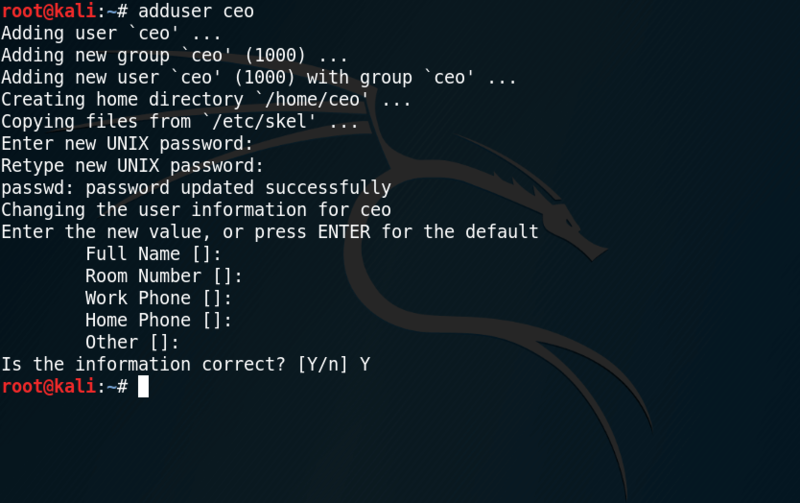 If you want to use Kali Linux, you should be familiar with this command. I highly recommend getting your Linux Basics straight before starting to use Kali at all. 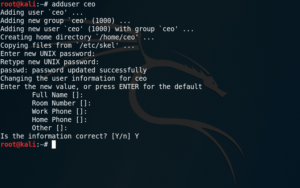 By adding the user to the sudo group, or, as originally referred to as “superuser do” group, you are allowed to run commands that require root by putting the “sudo” command in front of it. For example, the apt-get upgrade command we ran above wouldn’t be allowed for our new user. Although, if you put “sudo apt-get upgrade” in front of it, it will ask you for your sudo password and run the command for you. Just think of it as “Do this command as root”, or simply remember “Superuser Do”. Now just log out your root user and log in with your new user. You find the log out option in the upper right corner. Always log in with your new user from now. Now that we have our user securely set up, it’s time to get us a nice Drop-Down Terminal! Don’t miss out on my YouTube Channel! 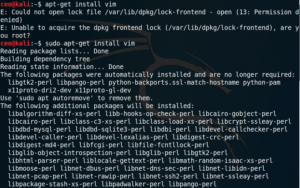 Installing Guake Terminal doesn’t go on place 4 for the Top Things to do after Installing Kali Linux for nothing. I absolutely love this Drop Down Terminal and can’t live without it anymore. If you have ever played Quake 3 (Rocket Arena, anyone? ), or any old Shooter, you might remember you were able to pull down a console by pressing Tilde (^), mostly to enter codes like “god” or “noclip” that made your character a levitating god that ignored walls. You can have the same thing in Linux! The name Guake was wisely chosen. You will come on it, I bet. After you have rebooted your system, you can pull down Guake by pressing F12. If you want to know how to change the Pull Down from pressing F12 to Tilde, or Circumflex(^) and do other customizations, read this. I prefer Circumflex over F12 out of obvious reasons. Now, this is your personal choice, if you don’t write your own code (Which you should be doing! ), you can skip this step. I personally like the Atom Editor. 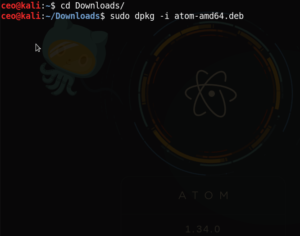 To install Atom on Kali Linux, head over to the Atom website and download the .deb Package. 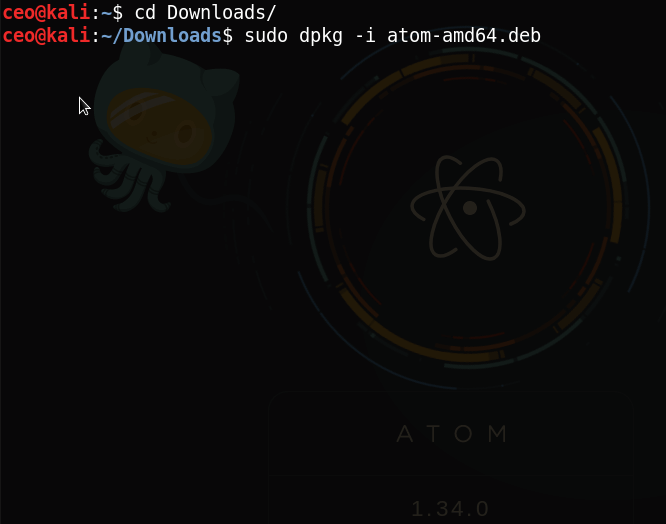 Now Atom is fully installed. OpenVAS is a very popular Open Source Vulnerability Scanner. It is an essential tool at your repertoire. 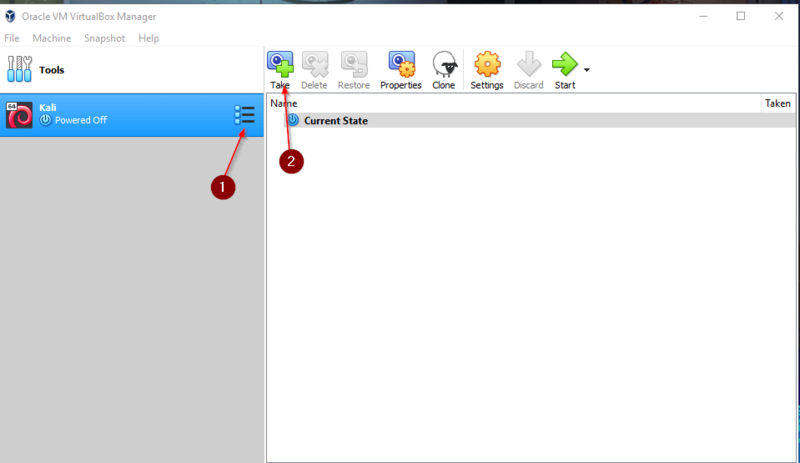 Because installing OpenVAS initially is a lengthy process by itself, I simply point you to my Detailed Article on how to install it. I use OpenVAS almost all the time because you can run scans effortlessly in the background and it sometimes comes up with interesting findings. Install instructions for those scripts can be found on the Git website. But I am working on a nice little installer for you guys so you can install those tools easier. You’ll know once it’s available. I have recently written an article where I compare the two most popular VPN Providers out there. I always like to use a VPN when working with any security distribution. 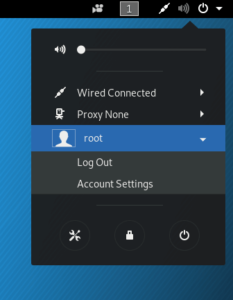 So I always have VPN Setup that automatically connects the VPN once I boot the system. But ideally, you have that set up on your Router. That ensures that all your Internet Traffic is routed through the VPN. I use NordVPN in this example, because that’s what I am currently using myself. I have an affiliation with both NordVPN and PIA, so if you decide to sign up with them, use my link and I get a small provision, helping me to pay for server cost. As always, I only recommend stuff that I personally use. It’s very easy to install NordVPN on Debian based Distributions. After signing up with them, you have to download the NordVPN-Repository package. If I haven’t forgotten anything, those are the Top Things to do after Installing Kali Linux. It is important that you understand that you can be at risk when running your OS as root. It is definitely not recommended for beginners. Keep my tips & tricks in mind and you have created yourself an extra layer of protection. As I mentioned in the beginning of the article, this list is ongoing, so make sure to check back! As always, use your Brain when Hacking. Hi there, thanks for leaving this here! I’m trying to learn all about Kali Linux and the things associated with it in my spare time, so to have great tutorials etc is great for me as I’m trying to learn it myself without anyone to mentor me. I’ve done quite a few courses on certain things and I’m currently trying to learn Python. I look forward to really scouring your site (after a few more courses) as there looks a plethora of great articles for me to learn new things and redo things I have done already, but with better tutorials. I already have lots of your articles bookmarked for future learning from your excellent newsletter. I can’t remember how i came across your site but it was a good day when I found it. Keep up the good work and have a great day!! Good luck to you! Thanks again. Appreciate the praise! You should add command line FTP,nfs tools and maybe Filezilla which won’t be installed by default and they all are in repos. good call! I might add it when I update the List next time.